The Brijuni Archipelago, embracing a clutch of 14 pretty island jewels collected near the southeastern coast of the Istrian Peninsula, is both contemporary resort and historic preserve. Ancient ruins reflecting early Roman villas, a Byzantine palace, a 13th century church of the Knights Templar, and Bronze Age hill forts compete for attention alongside an exclusive star-studded resort turned Presidential summer retreat, graced with abundant flora and fauna. The Romans initially settled in the Brijuni because of its valuable quarries, transporting the stone back to Italy for buildings and works of art. The Middle Ages brought rule by the Venetians, followed by a brief Napoleanic era. Next, the Austrian Empire built a fortress on Veliki. A Viennese businessman bought the entire archipelago in the 1800s, turning it into a health destination for wealthy Austrians. Italy took control after WWI, but the successors could not navigate the difficult economic conditions following the 1929 stock market crash, resulting in bankruptcy. 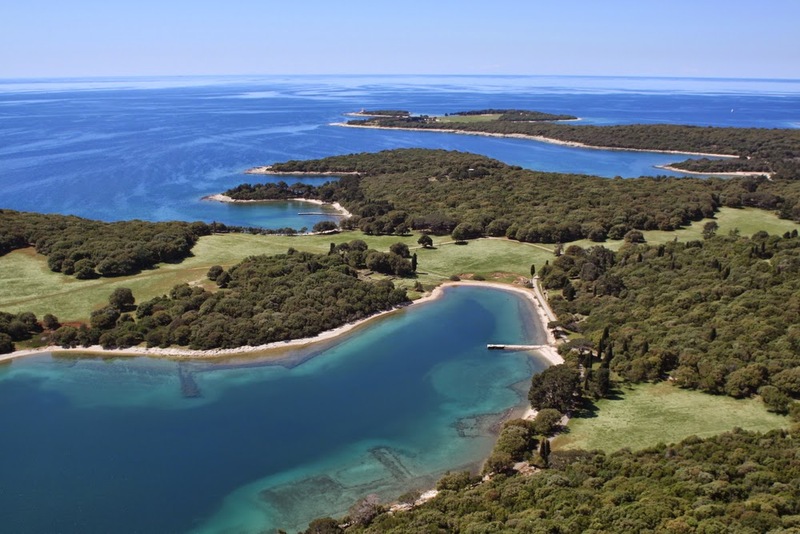 Under Yugoslavian rule between 1949 and 1979, President Marshall Tito made the Brijuni his personal summer estate. The islands became a National Park upon Tito's death, and with Croatia's independence in 1991, the grand Austrian era hotels were reopened as the destination transformed into an International Conference Center. Today, many visitors come for ecological holidays, either sailing their own boat into the marina, or engaging a tour for the trip. Protected for more than a century, the waters and landscapes remain pristine and untouched, making this a fabulous destination for enjoying a swim, a hike, or a photo shoot. Where is Brijuni National Park? The Brijuni National Park, or the Brijuni Islands, are a group of fourteen small islands in the Croatian part of the northern Adriatic Sea, separated from the west coast of the Istrian peninsula by the narrow Fazana Strait. See Best of Istria Google Map for additional recommendations of places to see and things to do in Novigrad.